Students at the UConn School of Medicine are the first in the nation to use Butterfly iQ, a new handheld, full-body ultrasound system that plugs into an iPhone and is powered by a microchip, as part of their curriculum. Guilford, Connecticut-based Butterfly Network Inc. created the first-of-its kind device, which at $2,000 is much more affordable than cart-based portable ultrasound machines that can cost tens of thousands of dollars. Dr. Meghan Herbst, School of Medicine associate professor and ultrasound director in UConn’s Department of Emergency Medicine, is spearheading use of the device in medical education at UConn. She envisions the Butterfly iQ becoming as essential as a physician’s stethoscope. Butterfly iQ eliminates the need for multiple probes, with the silicon chip system able to create linear, curved, or phased ultrasound beams. Students who tested out the device were impressed by the ease of use and image quality. First- and second-year medical students are using the devices in their anatomy lessons, Herbst says, and fourth-year students recently used them during a four-hour ultrasound session as part of their preparation to transition to residency. Butterfly Network aims to democratize health care, marketing director Guru Sundar says, whether that means providing devices to physicians in underserved areas or to students who might not have previously had the opportunity for such hands-on ultrasound experience. The units are also being used in the Emergency Medicine Residency Program. Those at UConn and in the health care industry at large believe the technology could revolutionize health care. According to Forbes, the company has raised $250 million in investments, including from the Bill and Melinda Gates Foundation. “For us at UConn to be right at that cutting-edge, right at the future, is very exciting,” Southgate says. Through a vote at an October 2018 meeting, the Liaison Committee on Medical Education (LCME) accredited the University of Connecticut School of Medicine medical education program for another eight-year term. The School of Medicine was deemed satisfactory in 92 of the 93 elements and compliant with all 12 standards of the accreditation criteria by the LCME, which is recognized by the U.S. Department of Education as the authority for the accreditation of medical education programs. “We are pleased with this positive outcome and would like to thank the various faculty and staff members who were so instrumental in this remarkable achievement,” says Dr. Bruce T. Liang, dean of the School of Medicine, who directed the effort to prepare for the accreditation of the medical education program. In her first year as dean of the UConn School of Dental Medicine, Dr. Sharon Gordon seeks to apply the concept of interprofessional learning to shape the future of health care. Cloe Poisson, Copyright © 2019. Hartford Courant. Used with permission. 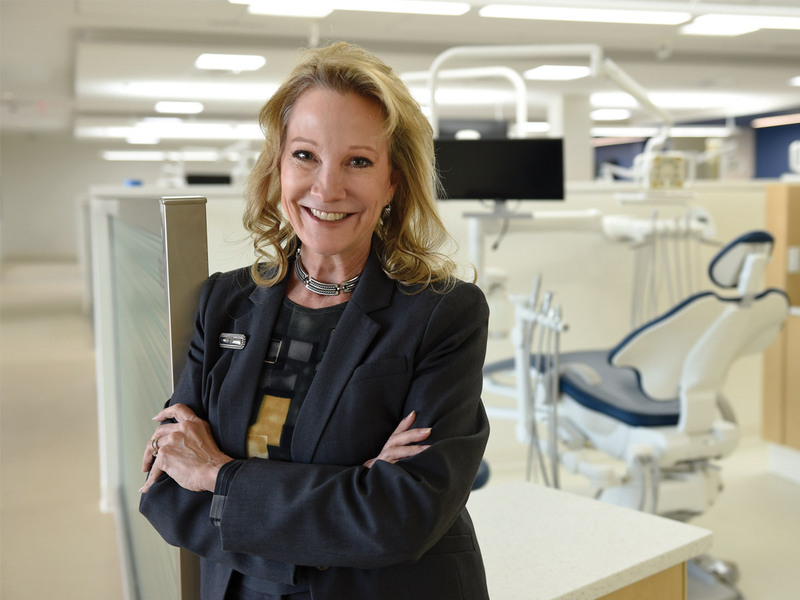 As medicine moves toward an integrated approach to care, UConn’s new dental dean sees a greater role for dental medicine in the delivery of that care, and a strong foundation already in place to make that happen. Dr. Sharon Gordon, who arrived from the East Carolina School of Dental Medicine last summer, says it’s part of what drew her to UConn: more broadly, the rich history of partnership between the medical and dental schools, but notably the basic sciences curriculum they share in the first two years, focusing on interprofessional training. The evidence shows that more comprehensive care of the patient gives better health outcomes overall. To help UConn Health get there, Gordon wants to continue building on the concept of students working in group-practice clusters in the clinic. A program fittingly known as CONNcept (Connecticut Comprehensive Education and Practice Team), established under the leadership of Gordon’s predecessor, Dr. R. Lamont “Monty” MacNeil, aims to simulate a true practice setting. As part of this, Gordon’s vision also includes incorporating nursing students, students from Tunxis Community College’s dental hygienist program, and, eventually, expanded-function dental assistants. Collectively, these disciplines can train together and, ultimately, practice together, improving patient outcomes through this new model of care. A pilot program led by the Connecticut Poison Control Center and UConn Health’s Emergency Medicine department has been tracking opioid overdoses in Hartford in real time to improve surveillance of the opioid epidemic. More than 1,000 people died from opioid overdoses in Connecticut in 2017, including 80 in Hartford. The project, launched May 1, has emergency medical service (EMS) personnel in Hartford report overdose cases to the state’s Poison Control Center, part of UConn’s Emergency Medicine department, immediately after the incident. The Center’s poison information specialists ask the emergency responders a series of brief questions and record the data. The test program is a collaboration with American Medical Response (AMR) ambulances, which provide coverage to two-thirds of Hartford’s communities, and nearby Saint Francis Hospital and Medical Center’s emergency department. “This new program is increasing our awareness of what is happening on the ground,” says Peter Canning, UConn John Dempsey Hospital’s EMS coordinator. UConn Health hopes the program establishes an effective early warning system to alert public health and safety officials and community stakeholders of any sudden spike in overdoses or the potential threat of a potent batch of opioid drugs released in certain neighborhoods. Since the program began in May, the AMR ambulance crews in Hartford reported 211 overdose cases to the Connecticut Poison Control Center. In 147 of the reported cases, emergency crews had to administer the opioid antidote naloxone to revive the overdose victims. Early data attributes 98 percent of the overdoses where the substance was known to heroin and fentanyl, and 2 percent to other opioids such as oxycodone and methadone. The majority of victims — 77 percent — were male, 51 percent of whom were between the ages of 35 and 49. In addition, 67 percent of the overdoses occurred in public areas such as city parks, roadways, sidewalks, and restrooms. EMS also reported cases of victims who thought they bought cocaine, but instead overdosed on powdered heroin. “This new program is an important step forward and a great example of multi-agency collaboration,” says Dr. Suzanne Doyon, Connecticut Poison Control Center medical director. “Rapid real-time identification of potentially troubled areas of the state is important to public health. Using the connectivity and round-the-clock expertise of the Poison Control Center is both novel and forward-thinking. 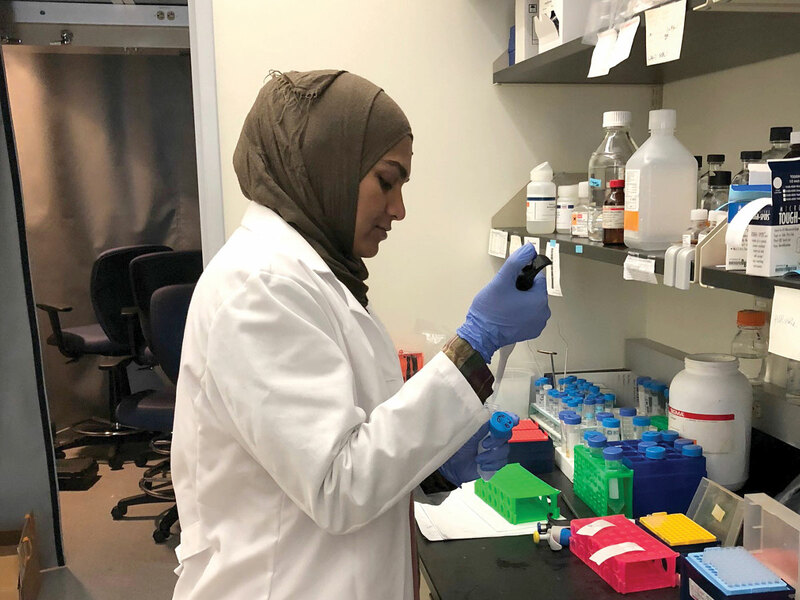 Affrin Ahmed of Bloomfield, a UConn second-year international graduate student majoring in applied genomics, is seen working on her Partnership for Innovation and Education (PIE) summer research project. Ahmed was among the local college students who presented their innovative projects to distinguished guests including state legislators at UConn Health Aug. 1 during Innovation Fellows Research Day, an event that showcased PIE, a newly launched statewide consortium. The inaugural class of PIE summer program fellows comprises 79 students from UConn, Trinity College, University of St. Joseph, Central Connecticut State University, Southern Connecticut State University, University of Hartford, and Tunxis Community College. For details and photos on the inaugural Innovation Research Fellows Day, read our story at UConn Today. Lactation consultant Marisa Merlo helps maternity patient breastfeed her newborn son in UConn Health’s labor and delivery unit. 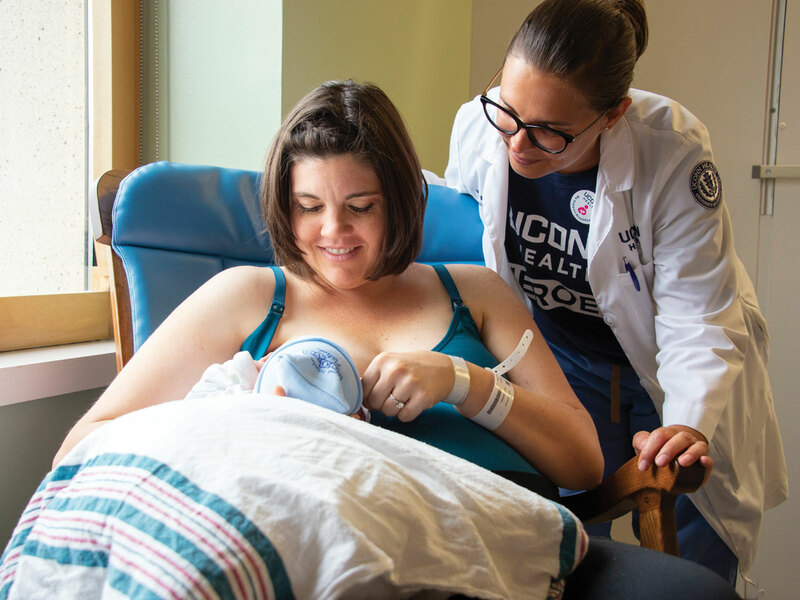 UConn John Dempsey Hospital is the first hospital in Connecticut, and only location in the Greater Hartford area, to serve as a milk depot for breast milk donations for newborns in need. “Our new milk depot is going to benefit our tiniest patients in Neonatal Intensive Care Units (NICUs) across Connecticut and the Northeast, including our very own, the Connecticut Children’s Medical Center NICU here at UConn Health,” says Marisa Merlo, lactation consultant for UConn Health’s Department of Obstetrics and Gynecology. UConn Health’s milk depot, which opened in August, is the fifth in Connecticut to join Mothers’ Milk Bank Northeast. The nonprofit community milk bank, accredited by the Human Milk Banking Association of North America, distributes donated, pasteurized human milk to babies in fragile health throughout the Northeast. Women interested in donating their breast milk can contact Mothers’ Milk Bank Northeast (milkbankne.org) directly to apply for eligibility and screening. Once women become eligible to donate, their breast milk donations are accepted by Merlo at UConn Health and safeguarded in the freezer of its new milk depot room. Merlo and her staff safely ship the frozen milk to Mothers’ Milk Bank Northeast for pasteurization and distribution to their network of NICUs. Not all mothers of newborns can produce a sufficient milk supply. Mothers with premature newborns especially can experience difficulty producing or pumping enough breast milk while their baby is in the NICU. Donor milk is a more beneficial substitute for fragile newborns than formula. “This new milk depot at UConn Health will make it more accessible, easier, and stress-free for women to donate their breast milk to help other women and their babies,” says Natalee Martin, associate director of development for UConn Health. She chose to donate her breast milk for three months after her daughter turned one to help boost the health of NICU babies. The new milk depot at UConn Health was founded and made possible with initial donations by Merlo, Martin, obstetrician/gynecologist Dr. Christopher Morosky, and Carrie Ferrindino, nurse manager of Maternal Child Health, for the purchase of a milk freezer. 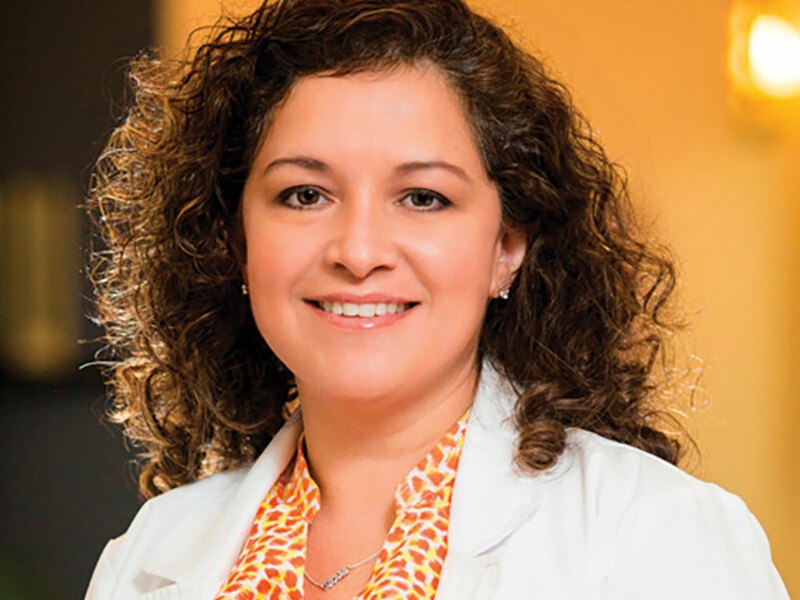 UConn School of Dental Medicine alumna Dr. Carolina Giraldo ’95 has always persevered. Born in Bogotá, Colombia, and raised in Bridgeport, Connecticut, Giraldo and her older sister took care of themselves and their younger brother from an early age while their parents worked three jobs. Giraldo knew she’d have to work hard to be successful, juggling work and study to put herself through college and then dental school. Now she’s paying it forward. Giraldo, who opened her own dental practice soon after earning her doctorate, recently made a $1 million planned gift to help students like herself. Giraldo established the Dr. Carolina Giraldo Scholarship in 2017 so dental students from underrepresented groups might have an easier time becoming dentists than she did. Dr. Sarita Arteaga, the dental school’s associate dean for students, says scholarships like Giraldo’s help students with “the little things,” not just tuition. To support the Dr. Carolina Giraldo Scholarship Fund, visit s.uconn.edu/giraldo. 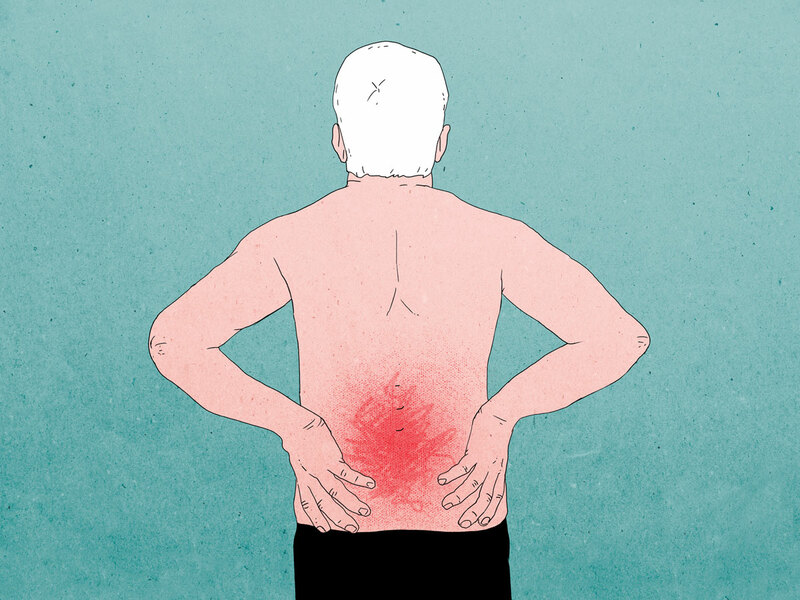 An estimated 100 million Americans suffer from chronic pain — more than those affected by heart disease, cancer, and diabetes combined, according to The National Academies of Science, Engineering, and Medicine. 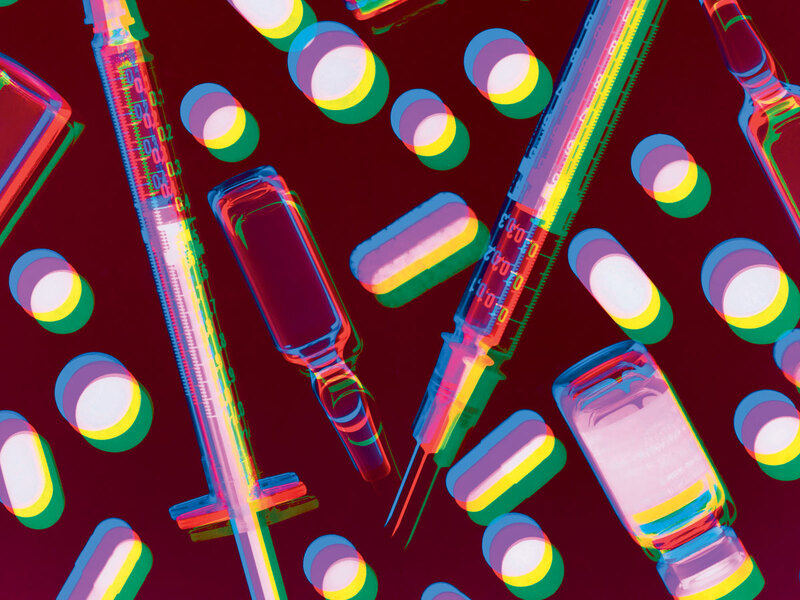 How best to manage that pain in the face of a nationwide opioid crisis is the question on many practitioners’ minds. The Connecticut Pain Consortium — a translational pain research and education collaboration between UConn Health, the UConn schools of Medicine and Nursing, and The Jackson Laboratory — aims to help answer it. Given the broad range of research interests and funding opportunities related to pain, the founders envision that centers across the University and nearly every UConn school and college — particularly the schools of Dental Medicine and Pharmacy — will join the consortium to build mutually beneficial collaborations. Experts from Yale University and hospitals including Connecticut Children’s Medical Center will also be involved. “There is a clear need for more basic and translational research on human pain and pain management,” says the Consortium’s director, mathematician and computational biologist Reinhard Laubenbacher, a joint faculty member at UConn Health and The Jackson Laboratory for Genomic Medicine. The Consortium, the first of its kind in the Connecticut medical community, will establish a portal for pain-related health care data and facilitate research collaborations that leverage state and national resources. It will aim to translate that research into cutting-edge pain management solutions and raise awareness of the many facets of pain, pain management, and potential related ramifications including opioid addiction. The Consortium will contribute to a curriculum on pain research and management for health care providers. The launch is being funded by a $55,000 planning grant from the Mayday Fund, whose mission is to support projects that close the gap between knowledge and practice in the treatment of pain, to the UConn Foundation. The Consortium has also received support from the UConn Office of the Vice President for Research, the schools of Nursing and Medicine, and the Jackson Laboratory for Genomic Medicine. 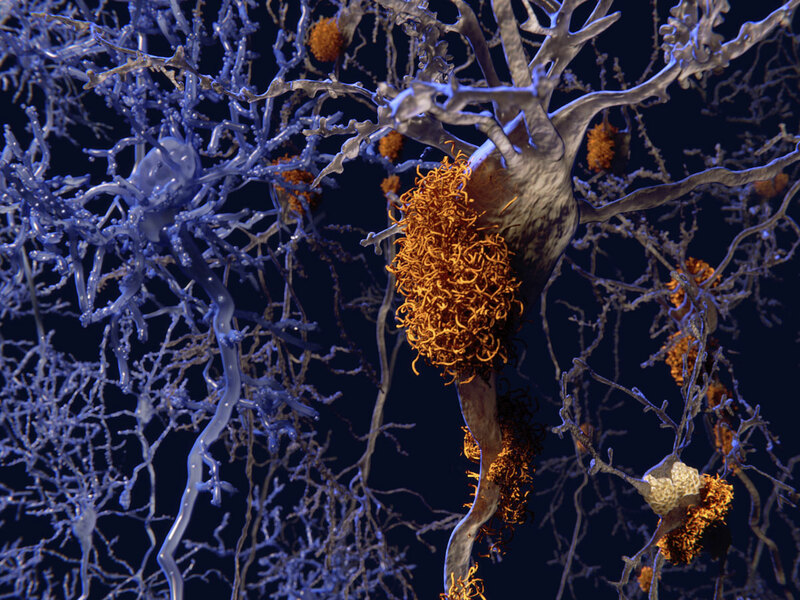 In this rendering, healthy neurons afflicted with amyloid plaques are colored orange. Studies suggest this plaque leads to cognitive decline in patients with Alzheimer’s. Internationally recognized neurodegenerative disease researcher Riqiang Yan, Ph.D., joined the UConn School of Medicine this spring as chair of the Department of Neuroscience. He has established the medical school’s first research laboratory dedicated to studying and discovering new treatments for Alzheimer’s disease and other neurodegenerative diseases. Prior to his appointment, Yan served as the Cleveland Clinic’s Morris R. and Ruth V. Graham Endowed Chair Professor and Vice Chair of Neurosciences and professor of molecular medicine at Case Western Reserve University. His five studies that focus on identifying the biological culprits behind Alzheimer’s disease are funded by the National Institutes of Health (NIH). Yan’s studies build upon his co-discovery of the BACE-1 protein, the critical molecule that he revealed fuels the production of β-amyloid peptides, or plaque buildup, in the brains of Alzheimer’s disease patients. Studies suggest that these peptides are toxic and lead to cognitive decline in patients with Alzheimer’s. Yan and his team are currently testing in mouse models the power and safety of several promising molecules to target BACE-1 and inhibit its biological function in order to prevent or stop further β-amyloid growth. Just before he arrived at UConn Health, Yan’s team published significant findings in the Journal of Experimental Medicine that showed that removing the BACE-1 enzyme in adult mice with Alzheimer’s reverses the plaque formation that inhibits cognitive function. The study was widely covered by national media. In addition, Yan and his team are gaining greater insight into the important role reticulon 3 protein (RTN3) plays in the formation of dystrophic neurites in the brain, which can lead to memory loss, dementia, and Alzheimer’s disease in the elderly. The Yan lab is also exploring treatment that aims to enhance neurogenesis to replenish the loss of brain cells in patients with Alzheimer’s and other neurodegenerative diseases. “We welcome Dr. Yan to UConn School of Medicine and Connecticut, as he and his research programs are very highly respected by leaders and other scientists in the field,” says Dr. Bruce T. Liang, dean of UConn School of Medicine. Yan’s recruitment brings with it a host of research collaboration opportunities across the School of Medicine and its departments of Neurology, Neurosurgery, and Psychiatry; with the UConn Center on Aging; with neurobiology and brain investigators at the University; as well as with the Jackson Laboratory for Genomic Medicine on UConn Health’s campus. 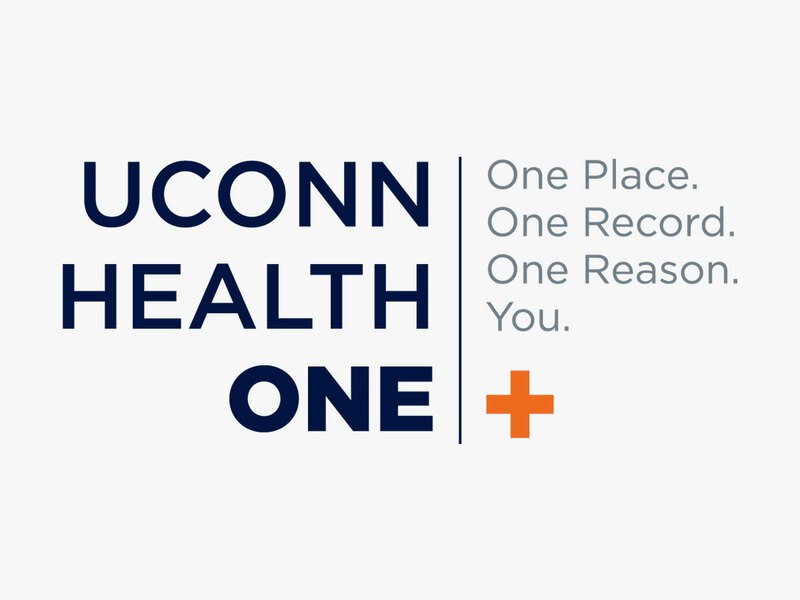 UConn Health’s new integrated electronic health record (EHR), UConn HealthOne, launched this spring, making patient records easily accessible to all members of care teams and to the patient. HealthOne represents a technological, clinical, and operational transformation aimed at enhancing the patient experience. At its heart is an EHR platform, powered by health care software company Epic, that facilitates collaboration, knowledge-driven care coordination, and continuous improvement. The integrated EHR takes most paper — and the turnaround times associated with paper — out of the clinical process, making provider notes available in real time and lab and test results available quickly. For providers, that means a seamless flow of information following the patient throughout their encounter not only with UConn Health but also with other health care systems through HealthOne’s interoperable Care Everywhere tool. All members of a care team, including referring physicians, will have access to the same up-to-date patient information at the same time. Patients using HealthOne get more efficient care and can access their test results and other health information at any time. Through myHealthOne, the new, secure online portal, patients can access tools they can use to message their care team, request prescription refills, and manage appointments.